When it’s Calum MacLeod’s day, he makes it count like no other. For those with more than 10 fifty-plus scores in ODI cricket, his conversion rate of fifties to hundreds is the best. His seven hundreds include three 150-plus scores. All of those with more (Rohit Sharma, Sachin Tendulkar, David Warner, Hashim Amla, Sanath Jayasuriya, Chris Gayle and Virat Kohli) are bonafide ODI greats. When he gets going, stop what you're doing and watch. In 2018, MacLeod only passed fifty on four occasions, but twice carried on to make a pair of truly great ODI innings. The first came against Afghanistan, on the opening day of the ICC Men’s Cricket World Cup Qualifier 2018. Afghanistan came into the competition as favourites to qualify, alongside West Indies. If there were question marks, they were over their batsmen, who hadn’t managed a single half-century between them across two warm-ups. In the first of those, against West Indies, they were restricted to 163/9 from 35 overs, before demonstrating just why they were favourites – their bowling attack, which dismissed the much-vaunted Windies for 110. Leading them was the incomparable Rashid Khan, still a teenager but already hailed as the best white-ball spinner on the planet, and about to become international cricket’s youngest captain too. When his batsmen put up 257 against Scotland, few gave the Associate side a hope. They soon slipped to 21/2, the result all but decided. Then MacLeod faced up, and just kept sweeping. If ever the story of a contest could be distilled to a pair of individual figures, it was here, with MacLeod finishing 157 not out off 146 balls, and Rashid dismantled for 1/68 from nine overs. MacLeod’s method was devastatingly simple, and simply devastating. So neutralised was Rashid by MacLeod simply playing the same stroke over and over, down on one knee and cross-batted through square leg, that it felt definitive, and scene-changing. Had no-one ever gone all-out sweep on Rashid before? Was that the way, and was the all-conquering leggie's threat now diminished? The answers are that they had and of course not. 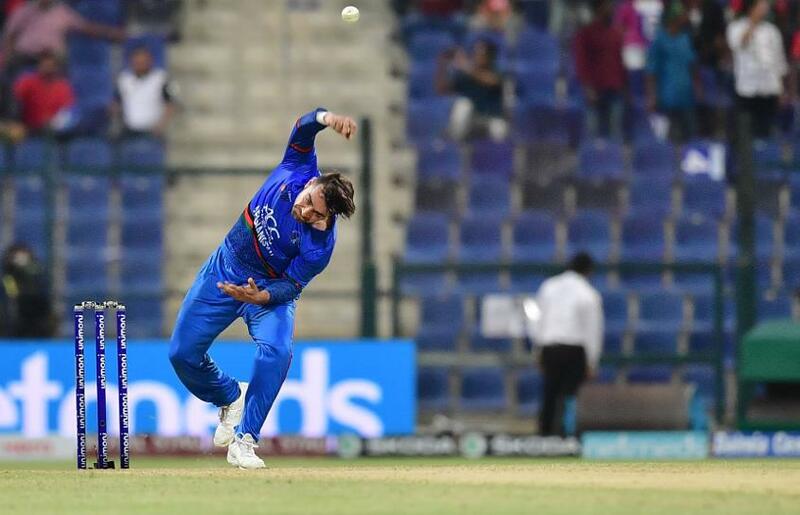 Many have tried to sweep to distraction not just Rashid, but an uncountable number of spinners, and most have perished, their game-plans not containing the judgement or the mastery of the shot as MacLeod displayed. Rashid would bounce back, and after three defeats in succession would play a huge part in lifting his side to a World Cup berth. That he did so only served to highlight the magnitude of MacLeod’s performance. Scotland were one of those teams who missed out, with a number of events and results conspiring against them, and were a team in pain. When England turned up at The Grange in Edinburgh for a one-off ODI in June, for all Scotland’s progress in recent years, not just in the Qualifier but in beating Sri Lanka in an unofficial warm-up in 2017, most expected that pain to continue; there was little hope from those outside the camp that they would break their streak of 28 win-less full internationals against the traditional ‘top eight’. England were newly installed as the No.1 side in the world according to the MRF Tyres ICC ODI Team Rankings, an ascension that confirmed the long-held suspicion that they would be one of the favourites for the World Cup which Australia had just failed to qualify for. Though supposedly bigger challenges awaited – five ODIs against Australia and three against No.2 side India – the side England selected showed they weren’t taking this game lightly. But Scotland channelled their hurt magnificently, prevailing in a rollicking, mesmerising contest by a cathartic six runs. MacLeod was again the star, smashing 140* from 96 balls, and though this knock didn’t feature a definitive batsman-on-bowler battle, its residing image – MacLeod both feet off the ground post-cut shot – will live long in the memory. It did, however, come against Scotland’s big sporting opponent, a side against whom they have often managed to raise their games and register stunning victories across disciplines. No conquest in Scottish sport is more fondly remembered than the 1990 Grand Slam-deciding rugby union contest, and while this may not have been as widely and wildly celebrated than that triumph – cricket remains something of a minority sport in the Highlands – within the two spheres, the achievements are comparable. For those involved, each is surely as treasured as the other. Scotland’s captain in 1990 was David Sole, and fittingly, his son Chris played alongside MacLeod in their victory over England. David famously led his team out on a determined slow walk before the start of that 1990 decider, a statement that showed his team would not be cowed, and that ramped up the crowd to eardrum-shattering levels. In a way, MacLeod’s innings – his pair of innings really – was as big a marker. They showed that there is no opponent Scotland would be cowed by, and no disappointment they couldn't use as motivation.